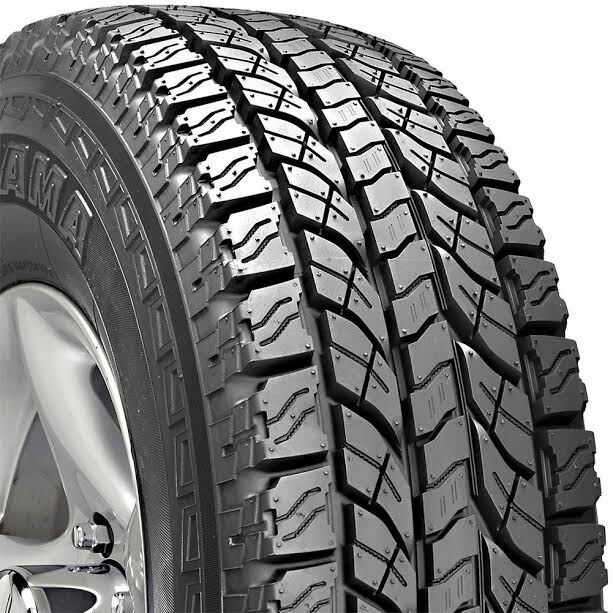 If you have a SUV or truck that you regularly take to the highway and unpaved roads, you definitely need to equip the vehicle with a set of equally reliable and versatile tires. Apparently, you have put a particular attention to Yokohama Geolander ATS. Compared to some other competitors, it is indeed on the more affordable side of the price curve. So, how is the performance? How about the durability? Overall, for the money, Yokohama Geolander ATS is a decent value. It is not necessarily the best tire on the market, but it is definitely usable and reliable for most purposes. Continue reading below to see more about Yokohama Geolander ATS. Yokohama Geolander ATS has been designed as an all-terrain tire for pickups, trucks, SUVs, and jeeps. Indeed, such vehicles have more demanding requirements than the smaller passenger cars, but Yokohama Geolander ATS definitely passes the standards. It is solid and rugged. It is designed to allow even wear and long mileage without sacrificing traction and performance. On the tread surface, you can find a symmetrical design that combines the sculpted shoulder blocks with the staggered center blocks and rounded-edge intermediate blocks. This design aims to deliver on-road control and handling capabilities as well as off-road traction and grip. There are also the uniquely designed multi-stepped grooves and dual interlocking pyramid sipes, both of which are beneficial to create additional biting edges for uncompromising off-road traction and enhanced wear performance. Finally, the tire has also been equipped with aggressive sidewall protectors that function to increase loose-surface biting while preventing sidewall abrasions and cuts despite coming in contact with harsh rocks and stumps. The all-terrain performance of Yokohama Geolander ATS is indeed awesome. It has excellent handling and steering on the road. It is stable and consistent in rain and snow – a particularly amazing feat. It may not be the quietest tire available, but it is not very noisy either. The manufacturer describes the product as a tire that is “designed to go anywhere”, and this is mostly true. You can rely on Yokohama Geolander ATS for going through demanding unpaved roads and off-road applications. It is also usable for driving through a rocky terrain, although the harsh condition will indeed reduce the tire’s tread life more. Well, Yokohama Geolander ATS is quite a durable tire if you don’t actually take it to the extremes. People who take it only to mild off-road applications say that the tire can last for a long time. However, frequent usage on harsh, demanding terrains seems to diminish the tire’s mileage quite significantly. This is the major reason to why some users only got short mileage from their Yokohama Geolander ATS tires. So, for extreme and heavy off-road applications, you should try to find a more rugged and durable tire. Check the best price of Yokohama Geolander ATS here!